Marco Polo: Did the Pope Really Send Crusaders Against Kublai Khan? 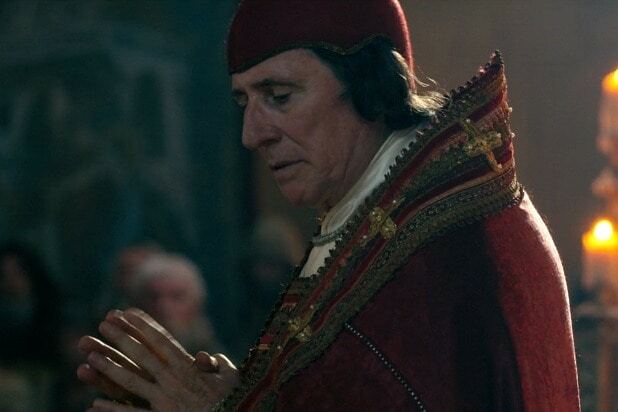 In the midsection of the second season of “Marco Polo,” during the episode “Let God’s Work Begin,” viewers are thrown quite a wild card when Gabriel Byrne makes an appearance as Pope Gregory X in Acre, Israel. It’s a momentous occasion that will change the direction of the story completely — because the Pope is meeting with none other than Niccolo Polo and Nayan, one of Kublai Khan’s family members. Nayan, as a Nestorian Christian, is operating as ambassador to the Catholic Church on behalf of the Mongol Empire, and he intended to suggest an alliance between the Mongols and the Church, so his people could assist in a Crusade in the Holy Lands. But this meeting doesn’t go nearly the way Nayan had hoped, as the Pope and Niccolo try to instead convince him that it’s in the best interests of the Church that Kublai be killed. Nayan, of course, objects — Kublai is completely accepting of Christians, so why kill him? Niccolo says in response that it’s because of Kublai’s tolerance of all religions that they believe him to be a threat. The Pope then strongarms Nayan into cooperating by suggesting that continuing to work with Kublai could condemn Nayan’s soul in the afterlife. Later in the season, during the episode “Whitehorse,” we see the fruit of these machinations by the Pope and Niccolo Polo. Nayan has allied with Kaidu, who has challenged Kublai’s authority and has called for an election for a new Khan of Khans in Xanadu. And Nayan has brought an army of Crusaders to China to take out Kublai and shatter the Mongol Empire should Kublai manage to remain Khan. While dramatically quite thrilling, so far as records show no Crusader army ever traveled to China or Mongolia, though all these events do have some, albeit thin, basis in history as we know it. Yes, Kaidu really did oppose his cousin Kublai, in a rebellion that lasted beyond Kublai’s death in 1294. And, yes, Nayan had rebelled against Kublai — though the reasoning for his rebellion is considered to be that Nayan was a traditionalist and didn’t like how Kublai was changing the Mongol way of life and adopting Chinese culture. Oddly enough, Nayan’s reasons for rebelling in history were instead given to Kaidu on the show, with Nayan instead getting this religious motivation. In truth, Pope Gregory X never met with Nayan, but did have diplomatic relations with Abaqa Khan, who ruled over the Persian portion of the Mongol Empire, but in Lyon, France rather than Israel. They did plan a military alliance, as the Persian Illkhanate and the Church had a common enemy sitting between them in the form of Muslim forces. But Pope Gregory X died in 1276 before any alliance actually came about, and that was that. According to the account of Nayan’s rebellion in Marco Polo’s book, the tents of Nayan’s army sported Christian crosses — as the tents of Nayan’s Crusader army do on the show, which is a nice nod to what is ostensibly the source material for the tales told on the “Marco Polo” series. Nayan meeting with Pope Gregory X in Acre is also a nice historical touch even though it might at first seem strange that the Pope himself was in the Holy Land. Gregory was in Acre with the Crusaders when he was named Pope — a selection which took almost three years to make. Technically, however, he wasn’t officially Pope until he returned to Europe, but whatever. 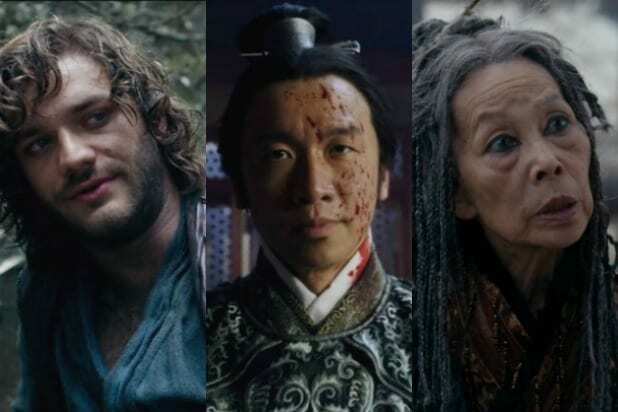 Still, Season 2 of “Marco Polo” is more fiction than fact. But it the insertion of the Pope into events was nonetheless a fun twist, with a bit of social commentary about the present mixed in.